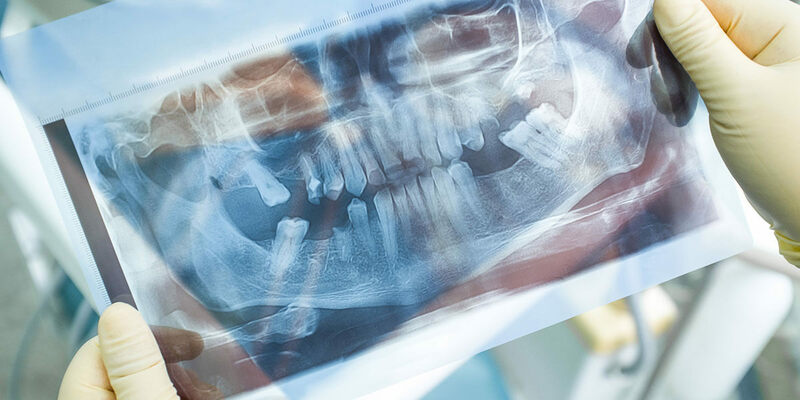 Bone grafting may be required to address defects in a patient’s jaw. Bone grafting is a form of reconstructive surgery that helps to generate and rebuild bone and increase bone density. The most common bone grafting procedure is performed to enhance the upper or lower jaw bone in order to increase bone quantity and density in preparation for the placement of dental implants. When a tooth is lost, the surrounding bone often is often affected over time. Patients without enough jaw bone mass are not candidates for dental implants. Bone grafting is often performed to reverse bone loss or enhance existing bone, allowing for the placement of dental implants after the bone graft has healed and created the necessary foundation for the implants. Bone grafting for the purpose of rebuilding jaw bone to support dental implants can usually be done in our office. The surgeon may recommend that the grafting material be taken from the patient’s own bone or from another source. Synthetic material can also be used to generate bone growth. Bone grafting allows for proper support of dental implants or prostheses. Healing time prior to the placement of the implants is generally between 4 – 6 months, though it can sometimes take longer. For more extensive bone grafting procedures, such as the correction of congenital defects, a hospital setting is required and grafting material may be taken from other areas such as the skull or hip.